Young 7 yo boy brought in by mom, “I have pain in my neck when I tilt my head down”. Yep, mid and lower cervical segments not moving correctly. Gets one adjustment and immediately the pain is gone ! He can move his head pain free! That’s what’s nice about working with kids. Quick results… They know right away whether they are better or not. So Simple. Now back to important things like playing soccer. When I first went to see Dr. Mark on 9/13/14, I suffered from a pinched nerve in my neck. My right arm and right leg was numb with tingling and had lots of pain in my right arm as well that prevented me from sleeping through the night. Here it is 9/23/14, 10 days later, and I no longer have the tingling, pain, numbness and sleepless nights that I suffered from for two weeks before I went to see him. I can’t believe how much better I am feeling now! Thank you for getting me to this point Dr. Mark!!!! Dr. Lynch says What a busy week! Lots of new patients coming in with injuries, lots of old patients coming with re-injuries . Seasonal allergies starting up. But a good news story. Had an emergency pt on Monday night her pain was at 9/10. On Wednesday afternoon, less than 48 hours later she was 3/10 on pain! On Friday morning she only had 1/10 of pain. Whew… Did everything on her: reviewed stretches for her to do to help relax the overly tightened & tense muscles, reviewed detrimental body posture or body actions and stop doing that which brought her to this level of pain. Did trigger point therapy, hot packs, laser, diathermy, adjustments on her and it all worked ! She did not want to go to an orthopedic because she knew the first visit would probably be $300 and then it would be a PT 3x a week for 3 weeks at $20 each session for total of $480 and time lost from work $? . We saw her after work and the total she spent for all of it was $130 ! A SI Belt and her copays. Done. I came in with a killer headache and I couldn’t move my neck. Now I have no headache and I can move my neck, WOW ! If it wasn’t for your office I think I would have ended up at the emergency room and it would have been a waste of time, I feel a lot better. I have no more headaches and I can stand up. I should have been here a long time ago. I feel amazing, I don’t know how you do it ! Its incredible, every time I walk in here with pain I leave feeling great! I have been a patient for 22 of those 24 years and Dr. Mark truly is the best! He loves what he’s does and it shows. Thank-you!!!!!!!! ‘I went to every kind of Dr. For two years and nobody helped me. They actually hindered me. Dr. Mark came to my house at 11pm at night for my first visit and solved my problems in a matter of moments when others failed time and time again. All he asked for was for a Brownie that my mom just got done baking. Absolutely Amazing! A great man & a great Chiropractor! Don’t know what I’d do w/out you ? I miss you Dr. Mark! Since moving to CA I am still on my quest for a Chiropractor. I really wish we lived in NJ. You’re the best! Thanks for helping to keep me healthy and for all you do for others. Working in my yard one afternoon I twisted my lower back, called Mark and he agreed to see me within the hour. I did not tell Mark I was back in my yard working a few hours later, I just called and left a message of his great work. Healing hands and purpose of thought. Mark, You continue to impress me with your professionalism, innovative techniques and kindness shown to your patients. Keep up the good work. I really like that percussor ( clinical massager ) as a way to relax the muscles, it feels good. The percussor is very relaxing to my tense muscles. I work hard and in awkward positions bending over the animals all day long ( she is a veterinarian ) I love that tool. No one better than Dr. Mark for what ails you. My family and I swear by him. I was scheduled for dental work and it was going to be a 3 hour session. I was thinking thank God I have an chiro appt tomorrow I’m going to need it ! I can’t believe it the pain is gone!. My L shoulder and ribs hurt and its gone! Body, Mind and Spirit, It’s A VIP Way to Be!!! !~ Dr Mark Rocks!!!! I must say this about this Doctor of Chiropractic… I’m an older gent of 45years old. Yes an old 45 because of car accidents & three motorcycle accidents, & i have been doing physical work since I was a teen & the doc can tell you even he is amazed when working on me what rough shape I’m in. Thanks to him I feel very much like I’m 18 or 19. I owe it all to God that I’m still here & Dr. Mark to enjoy pain free days & keeping off the pain meds for years!! In all my time going I can count on one hand how many Migraines I’ve had. And I had them so often that I used to have meds for them too. There is more my wife had an issue so bad she could not lift her arm over her head. The medical doctor wrote a prescription for a muscle relaxer! Her hand wasn’t right…. Dr Mark in three visits had her fixed & back to work No meds & her job is transcription and editing!!! She had to get back to work. 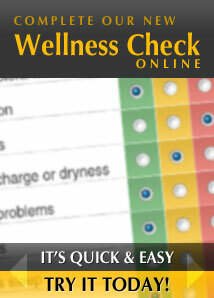 One stop for better health and body and mind. The magical hand of Dr Mark Lynch, works their wonders here. Anyone who can keep this 48 year old broken down retired fireman playing basketball 3 or 4 times a week gotta be doing something right. Keep it up Doc! 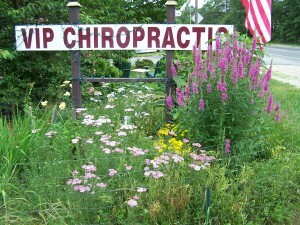 Working in my yard one afternoon I twisted my lower back, called Dr. Mark and he agreed to see me within the hour. I did not tell Mark I was back in my yard working a few hours later, I just called and left a message of his great work. Healing hands and purpose of thought. Hey Dr. Mark, sorry it took me so long to get back to you. Been “super” busy at work. No pain, thanks to you, Talk to you soon. I’ve suffered for 7 years with lower back pain. I went to VIP Chiropractic and in three visits !! I was 90% pain free ! Why did I wait and suffer all those years ? Interesting patient yesterday she had right TMJ pain since August, almost 4 months, after a long visit at the dentist. Been having muscle spasms in the right TMJ for the last month. Left TMJ has been tender for 2 months. Today came in for 2nd visit with 80% reduction of all symptoms on right TMJ and no left TMJ symptoms at all. Very cool! The patient is ectastic and amazed. All this suffering and it could have been alievated ! Corrected using Koren Specific Technique and the arthrostim, an electric adjusting instrument. Gentle, easy, specific, fast, productive. Dr. Mark is an awesome Chiropractor that really cares about you! He is so concerned about your total wellness. When I am back in NJ I always go to see Dr. Mark. Thank you again Dr. Lynch. I was able to make and complete the conditioning class we spoke of tonight. You are awesome! I had cut my hand / wrist area pretty badly on a glass window. I used the Diapulse and the Laser to speed up the healing process and reduce the pain. It worked fast and I felt better on the second application. I went to my dr. for a follow up and he was amazed at how fast the area was healing. Thank Goodness for those machines. Had a pt. this week who had no energy and was physically and emotionally low. It was good to assist the body in being more in balance. Lets you sleep better at night. pt. x said VIP chiropractic sure helped me this week. had a week long migraine…gone. was dog tired and legs hurt from long day, got adjusted and BAM!!! i felt upbeat, refreshed, and leg aches and pains disappeared. AWESOME work dr. Mark. Pt. L said VIP Chiropractic sure helped me this week. I had a week long migraine…gone now in one treatment. I was dog tired and legs hurt from long day, got adjusted and BAM!!! I felt upbeat, refreshed, and leg aches and pains disappeared. AWESOME work Dr. Mark. Daddy can we go for a walk? Yes lets go!. A month ago a pt. came in w/ sciatica so bad he was limited in many activities of daily living. Been bothering him for 2 months. He couldn’t go for walks with his young children. Oh Yeah I’m leaving on my honeymoon in 5 days can you help?! I said we have no choice lets start treating now! He came in, got adjustments to his lumbar spine, did laser and ultrasound treatments to reduce inflammation and pain, did muscle vibration therapy to low back, sacroiliac jts and hip joints. In a short time, 4 days, his pain was reducing, his range of motion was increasing. He was able to go on his honeymoon and have a great time. He’s now able to do all the normal things we take for granted, and he is very grateful. Chiropractic really helped him get his life back. Had a special pt. couple of weeks ago that makes you glad you do what you do in this work. Makes you forget the bs the ins. co’s give you every day. The CranioSacral Therapy performed on his head to release tension on his brain and on the neck to promote muscular and other soft tissue unwinding/ relaxation was well tolerated. The arthrostim used during KST was a gentle way to adjust his spinal misalignents and some muscle therapy to help reduce spasms was successful. We also showed his caregivers how to do some of this at home to keep the healing going. We also did some of the work in the sunny warm parking lot since he is inside all the time, it was one of our first warm days of the year. Wow what a day, I had 3 chiropractors as patients to treat, that’s a record. As if there is ever an ideal time to injure your back… I was in a late Saturday morning kickboxing class and suddenly pulled my back. I was in pain and seeking relief. I wasn’t having much success finding anyone available to help. I also was concerned as I had an opportunity to work with a highly regarded conditioning coach in just 2 days. I was fortunate to find Dr. Lynch. He was very thorough took time to understand my issue. He was nice enough to follow the next day (yes on a Sunday) to continue treatment. I would highly recommend him for anyone seeking relief. Thank you Dr. Lynch. “My hip feels wonderful and thank you very much ! The Truthful Simplicity of the Chiropractic Principles and the Opportunity to Serve Others I was able to walk out of here the other day I didn’t think that was going to happen. Thank you so much my back feels great. Last week his low back was misaligned and causing him pain. Got a massage, seen two times by this office. He’s better, discharged. The end. So much for the rumor that once you see a chiropractor you have to go forever ! 7 yo, his neck hurts from playing in the backyard. Mom brings him in. His lower cervical spine is not moving well in left or right rotation. His upper back is not moving in good left rotation. Do a little massage, instrument adjusting and light old fashioned manual adjusting. It restored the motion, pain goes away ! He’s smiling “ it doesn’t hurt anymore “. All in 20 minutes and one visit. And that is a good way to start your work day. Now… lets see how a muscle relaxer would do all that ! I was having trouble tracking the tennis ball with my eyes. Now my vision and tracking is razor sharp. I knew I needed a good upper neck adjustment. It was putting a drag on my brain. I can’t explain it but I can feel the difference. He was treating with a dc doing conservative gently chiropractic. But when he got back to NJ he knew he needed a good firm manual adjustment. All I can say is I have been taught by some of the best. Thank you Dr. Laurent Claveau for showing me how to adjust that way. Its not a common art anymore. I love that heavy massager it gets in so deep on my tense muscles ! My low back is better, that SI belt really helps hold my sprained back in place as it heals. - Lastly, me Dr. Lynch. I sprained my back yesterday morning and my big to do list got reduced by half instantly! Went to the office did laser, ultrasound, wore my back braces, adjusted myself old fashioned way and with instrument in motion. Am back to work at 80% function, next day. Down time one day and a half ! Now if only I could get motivated to do those core stabilization exercises and stretch more to prevent those low back sprains !